FFA - 9th US Circuit Court to hear oral argument December 15th on censorship of Innocence of Muslims which criticizes Islam. Will the justices in the en banc hearing of Cindy Lee Garcia vs. Google affirm the district court's order denying her request to censor the Innocence of Muslims video or will they revive parts of Judge Alex Kozinski's atrocious opinion in order to placate Islamists? Over 23,200 people have sent emails through Floridafamily.org to urge the 43 justices on the 9th US Circuit Court of Appeals to reverse a ruling by their three judge panel that wrongly forced Google to remove the video Innocence of Muslims from Youtube.com. The full court agreed on November 12, 2014 to rehear the case en banc. Many believed that the 9th US Circuit would have upheld the District Court’s ruling which denied Cindy Garcia’s petition to force Google to remove (censor) the video Innocence of Muslims from Youtube.com. The Hollywoodreporter.com reported on November 13, 2014 “Until February, most observers had expected affirmation of a prior 9th Circuit ruling, Aalmuhammed v. Lee, which concerned the 1992 Spike Lee film Malcolm X and determined that a movie is "intended by everyone involved with it to be a unitary whole." The 9th US Circuit Court of Appeals will hear oral argument during the en banc hearing on Monday, December 15, 2014 at 3:30 PM. The history of this case chronicled by Florida Family Association is posted below. Florida Family Association has prepared an email for you to send to the forty three 9th US Circuit Court of Appeals justices urging them to sustain the First Amendment rights that all Americans cherish by affirming the district court’s order that denied Cindy Lee Garcias's petition to censor. History of 9th US Circuit Court's review of Cindy Lee Garcia vs. Google, Inc. Majority of 9th US Circuit Court justices vote to rehear Garcia vs. Google in which Chief Judge Alex Kozinski considered Sharia fatwa as a legal basis for banning Innocence of Muslims video from the Youtube. Florida Family Association sent out several email alerts this year that encouraged readers to send emails that urged all of the justices on the circuit to reverse a 3 judge panel ruling that ordered Google to remove the controversial movie “Innocence of Muslims” from Youtube.com. More than 19,500 people sent emails to forty-three justices at the 9th U.S. Circuit through the Floridafamily.org email server which stated in part: "I respectfully ask you to avoid making exceptions for Islamists like Chief Judge Kozinski appears to have done in his opinion. Please affirm the First Amendment rights that all Americans cherish by reversing the panel’s troubled ruling and affirming the district court’s order." Thankfully the majority of the circuit court justices voted to rehear this case en banc. A three judge panel of the 9th U.S. Circuit Court of Appeals ordered Google on February 26, 2014 to remove the controversial movie “Innocence of Muslims” from Youtube.com. The panel voted 2-1 to reverse a lower court order that denied the injunction sought in Cindy Lee Garcia's law suit. Garcia sued Google on October 17, 2012 seeking a restraining order that would require Youtube.com to remove “Innocence of Muslims” from their web service. Garcia claimed that she had a copyright for a five second video that was incorporated into the film and that she had not given permission for its use in the movie. She also claimed that she would suffer irreparable harm from an Islamic fatwa if the movie were not removed from access on the World Wide Web. There’s nothing in the record to suggest that Youssef was in the “regular business” of making films. Reid, 490 U.S. at 752. He’d held many jobs, but there’s no indication he ever worked in the film industry. And there’s no evidence he had any union contracts, relationships with prop houses or other film suppliers, leases of studio space or distribution agreements. The dissent would hold that Youssef was in the “regular business” of filmmaking simply because he made “Innocence of Muslims.” But if shooting a single amateur film amounts to the regular business of filmmaking, every schmuck with a video camera becomes a movie mogul. 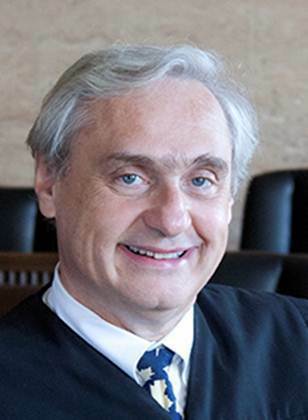 Chief Judge Alex Kozinski’s opinion which references the fatwa against Garcia essentially elevates the Sharia law command to censor blasphemy of Muhammad over the First Amendment to the United States Constitution. This lawsuit would never have happened were it not for the fatwa issued by the Egyptian Imam that ordered the killing of anyone involved in the production of “Innocence of Muslims.” Garcia did not take legal action until six months after the video was released. The fatwa is the potential “irreparable harm,” one of four factors required for a restraining order, sited in the appellate court’s opinion for the basis of ordering Google to remove “Innocence of Muslims” from YouTube. Any restraining order should be focused on the Islamists who want to kill Americans not on Americans who want to exercise their First Amendment Rights. Additionally, Chief Judge Alex Kozinski’s opinion prejudicially determines who serious producers are and who are not and elevates the copyrights of “aspiring actresses” over first time producers. Judge Kozinski’s opinion erroneously discounts the fact that Youseff, the film’s producer paid Garcia, the actress, $500 for her video footage at issue. Judge Kozinski’s opinion prejudicially establishes that copyrights for amateurs and professionals are different when the court should be establishing equity. Chief Judge Alex Kozinski’s opinion could empower Islamists to focus their angst against more actors in videos and perhaps people in photos with the goal of influencing them to demand removal of the same from movies, website posts or blog posts. The Council on American Islamic Relations' censorship of American films has been robust lately. CAIR recently boasted: CAIR has challenged actual and potential anti-Muslim stereotypes in productions such as ABC Family network's "Alice in Arabia," "Executive Decision," "24," "The Siege," "True Lies," "Rules of Engagement," "Obsession," "The Third Jihad," "Jihad in America," and "The Sum of All Fears." Defendant Google, who owns YouTube, petitioned the appellate court to hear the case en banc by all of the justices in the 9th US Circuit. Upon the vote of a majority of nonrecused active judges, it is ordered that this case be reheard en banc pursuant to Federal Rule of Appellate Procedure 35(a) and Circuit Rule 35-3. The three -judge panel opinion shall not be cited as precedent by or to any court of the Ninth Circuit. Judges Wardlaw, Owens and Friedland did not participate in the deliberations or vote in this case. Florida Family Association has prepared an email for you to send to the forty three 9th US Circuit Court of Appeals justices urging them to affirm the First Amendment rights that all Americans cherish by affirming the district court’s order that denied Cindy Lee's petition to censor. Florida Family Association is taking a position in this case based upon judicial principle and without regard to the parties involved or content of the movie. To follow this case at the 9th US Circuit Court of Appeals and/or read similar Amicus Briefs click here.